In the late 1800s, no one knew what light was. Everyone knew it behaved like a wave some of the time, but all waves need to travel through some propagation medium. This propagation medium was called the luminiferous aether and an attempt to detect and quantify this aether led to one of the coolest experimental setups of all time: the Michelson-Morely experiment. It was a huge interferometer mounted on a gigantic slab of marble floating in a pool of mercury. By rotating the interferometer, Michelson and Morely expected to see a small phase shift in the interferometer, both confirming the existence of a luminiferous aether and giving them how fast the Earth moved through this medium. Of course, there was no phase shift, throwing physics into chaos for a few years. When [Beaglebreath] first learned about the Michelson-Morely interferometer he was amazed by the experimental setup. 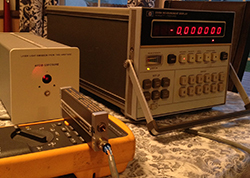 He’s built a few interferometers over the years, but for The Hackaday Prize, he’s making something useful out of one of these luminiferous aether detectors: a functional laser rangefinder capable of measuring distances of up to 60 inches with an error of 0.000005 inches. The core of the system is an HP 5528A laser interferometer system. [Beaglebreath] has been collecting the individual components of this system off of eBay for several years now, and amazingly, he has all the parts. That’s dedication, right there. 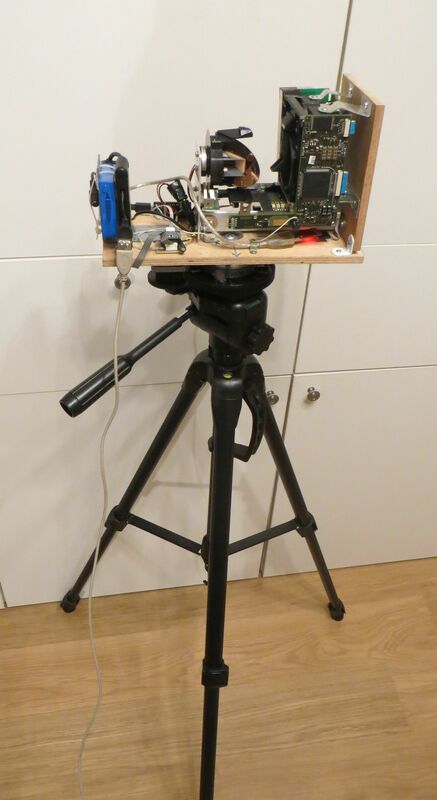 This laser interferometer system will be mounted to a simple camera slider, and with the interferometer measurements, humidity and temperature measurements, and some interesting code (running on one of these for hacker cred), [Beaglebreath] stands a good shot at measuring things very, very accurately. The devil is in the details, and when you’re measuring things this precisely there are a lot of details. The original Michelson-Morely interferometer was affected by passing horse-drawn carriages and even distant lightning storms. While [Beaglebreath] isn’t using as long of a beam path as the OG interferometer, he’ll still have a lot of bugs to squash to bring this project to its full potential. Lasers are some of the coolest devices around. We can use them to cut things, create laser light shows, and also as a rangefinder. [Ignas] wrote in to tell us about [Berryjam’s] AMAZING write-up on creating an Arduino based laser rangefinder. This post is definitely worth reading. 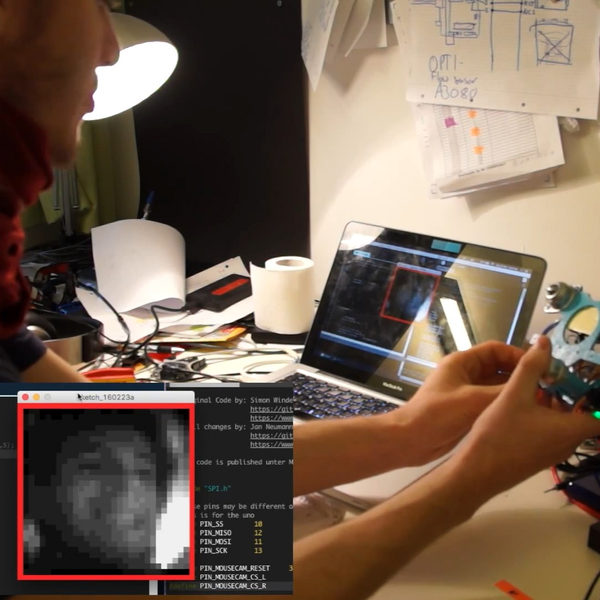 Inspired by a Arduino based LIDAR system, [Berryjam] decided that he wanted to successfully use an affordable Open Source Laser RangeFinder (OSLRF-01) from LightWare. The article starts off by going over the basics of how to measure distance with a laser based system. You measure the time between an outgoing laser pulse and the reflected return pulse; this time directly relates to the distance of the object. Sounds simple? In practice, it is not as simple as it may seem. [Berryjam] has done a great job doing some real world testing of this device, with nice plots to top it all off. After fiddling with the threshold and some other aspects of the code, the resulting accuracy is quite good. Recently, we have seen more projects utilizing lasers for range-finding, including LIDAR projects. It is very exciting to see such high-end sensors making their way into the maker/hacker realm. If you have a related laser project, be sure to let us know! Just when you thought ARM micros couldn’t get any cooler, another project comes along to blow you away. [Ilia] created a phase laser rangefinder (.ru, Google translatitron) using nothing but a laser diode, a pair of magnifying glasses, a few components and an STM32F4 Discovery dev board. The theory behind this build is using a laser’s phase to determine how far away an object is. By modulating the laser diode’s output at a few hundred Mhz, the reflection from the laser can be compared, giving a fairly reasonable estimate of how far away the target is. This method has a few drawbacks; once the reflection is more than 360 degrees out of phase, the distance ‘loops around’ to being right in front of the detector. The laser diode used does not have any modulation, of course, but by using an STM32F4 ARM chip, [Ilia]was able to modulate the amplitude of the laser with the help of a driver board hacked out of a 74HC04 chip and a few resistors. Not ideal, but it works. The receiver for the unit uses a photodiode feeding into the same microcontroller. With an impressive amount of DMA and PLL wizardry (the STM32F4 is really cool, you know), the phase of both the transmission and reflection can be compared, giving a distance measurement. It’s all an impressive amount of work with a hacked together set of optics, a cheap dev board, and a few components just lying around. For any sort of application in a robot or sensor suite this project would fall apart. As a demonstration of the theory of phase laser rangefinding, though, its top notch. You can check out a video of [Ilia]’s rangefinder below. Be sure to full screen it and check out the distance measurement on the LCD. It’s pretty impressive. Thanks [Володимир] for the link. We’ve got some friends who have two sump pumps. One is a backup and sounds an alarm when it is switched on. But this only works as long as they’re home to hear it. [Felix Rusu] came up with a solution what will text him if the sump pump fails. This way he can head home, or call someone to check in on the problem if he’s away. We saw a pretty complicated monitoring system back in January. This one uses a single ultrasonic rangefinder which we think is much simpler. It’s accurate to about 1cm and is simple to use — it’s very popular with the hobby electronics crowd which helps with price and availability of sample code. We hem and haw about the use of a Raspberry Pi board with the project. On the one hand it’s a cheap way to get the sensor on the network and provides the infrastructure you need to send any number of alerts. On the other hand, it’s a lot of power for this particular application. But we figure it can be extended to monitor other utilities in [Felix’s] home, like a sensor to alert him of a leaking water heater. And we think everyone can argue that a monitor like this is well worth the time and effort he spent to develop it.